Australia’s major fighting game event brings together players across the nation for fun and competition. It’s the largest open entry esports event in the region and an international destination. More info to come! Join the Facebook event for updates. BATTLE ARENA MELBOURNE 9 Date & Venue Announcement: #BAM9 is going BIG! 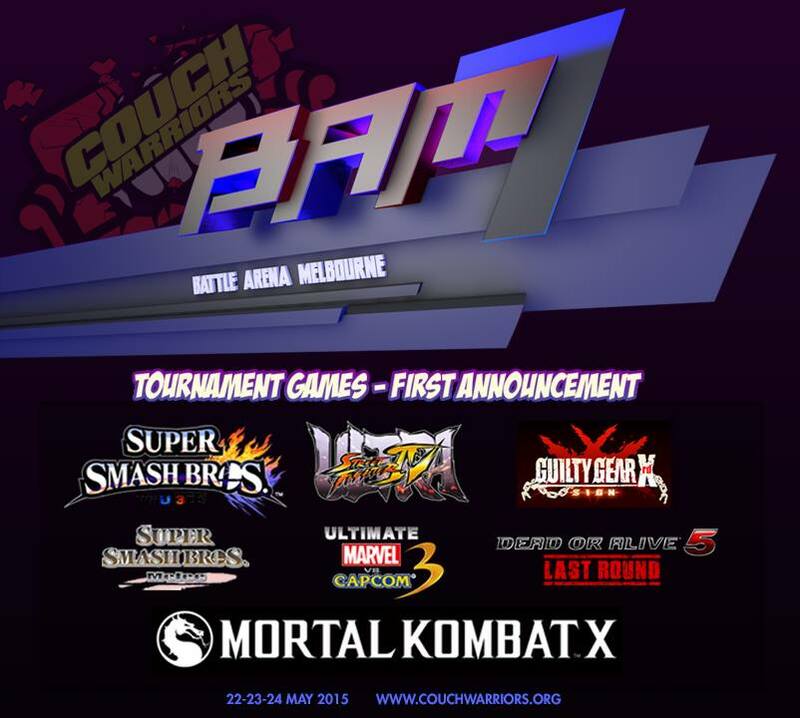 As hosts of Australia’s largest fighting game event, and one of the biggest community gaming events in the country, CouchWarriors is proud to make this first announcement. Each of the last few years has been a record breaker, with over 800 players and spectators enjoying BAM8 last year, we have much more in store in 2017. Watch the announce video to see why this year’s theme is “BIG BAM”. Hosted in two bays of Melbourne’s famous convention centre, with more space than ever. A major gaming and esports festival for the Fighting Game Community. More BIG announcements to come.